Don't miss out on some of the greatest opportunities Georgia Public Library Services has to offer. Visit your local public library to learn more about these library pass programs and to check them out with your PINES library card. *Passes are non-holdable and can only be checked out if available. Passes are in a limited quantity so please check the catalog or call your local library to find out about availability. The Park Pass Packet checks out for one week with one renewal. Waives the $5.00 required parking fee for a single, non-commercial vehicle. 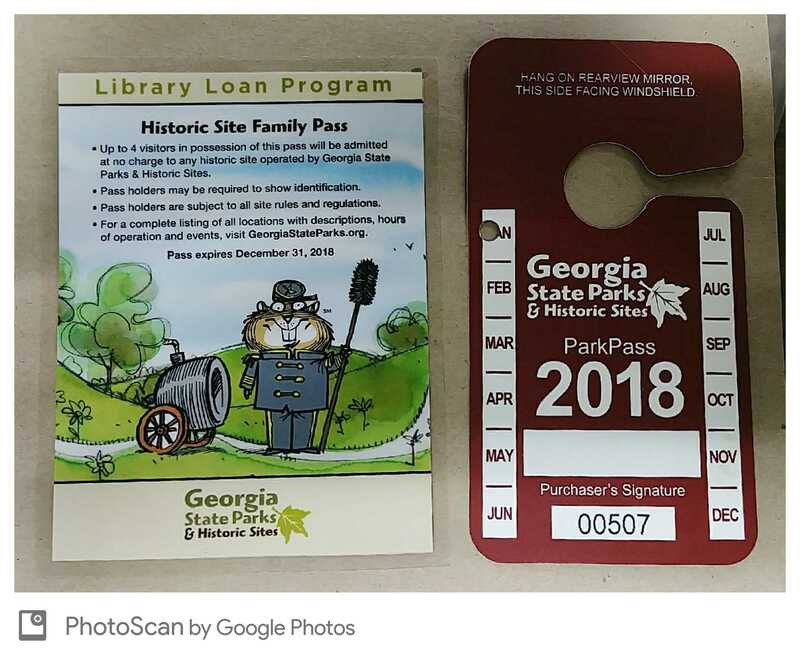 Up to 4 visitors in possession of this pass will be admitted at no charge to any historic site operated by Georgia State Parks & Historic Sites. Pass holders may be required to show identification. Pass holders are subject to all site rules and regulations. 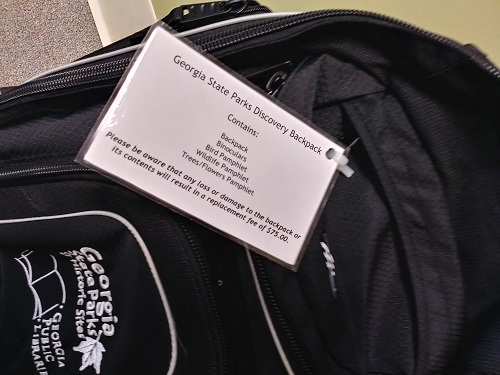 This item may be checked out separately or in conjunction with the Georgia State Park Pass Packet. This item checks out for one week with one renewal. 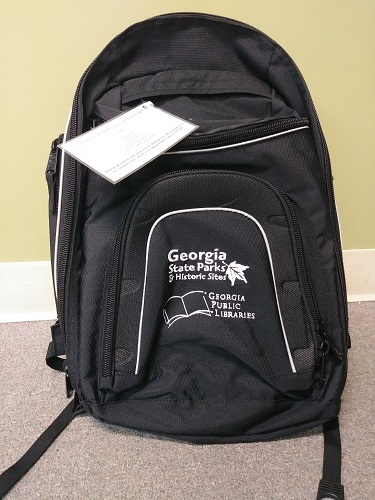 Please be aware that any loss or damage to the backpack or its contents will result in a replacement fee of $75.00. Receive 25% off an All-Inclusive Ticket, which includes a family series performance, a create-a-puppet workshop, and the museum. Pass holders are subject to all state rules and regulations.